Dallmeier sponsors the 2019 European Dealer Championship and shows how the combination of video technology and AI can be used as a virtual assistant for dealers. Casino operators are looking intensively for solutions that help dealers to prevent errors and run table games efficiently. Industry pioneer Dallmeier aims to solve such challenges with their “Casino Automation Technology (CAT)”, using an innovative combination of video technology and artificial intelligence. The company sponsors the 2019 European Dealer Championship, which will take place from April 29 to May 1 at the Olympic Park Casino in the Estonian capital Tallinn. Visitors will be able to meet Dallmeier representatives to discuss the benefits of CAT for casino dealers, supervisors and other casino staff. Dallmeier’s “Casino Automation Technology (CAT)” combines camera and AI technologies for a much more proactive way of running casino operations. For dealers, CAT can function as virtual assistant that monitors all gaming table transactions in real time and automates redundant manual tasks, thus increasing the game pace. For example, the AI-based system recognizes suspicious winning patterns, warns the dealer of errors and automatically confirms openers and closers. CAT also enables casino operators to run performance analyses and ratings of dealers. As one of the world‘s pioneers of IP video security systems, Dallmeier has been developing and manufacturing innovative, high-performance security and business solutions for over 35 years. 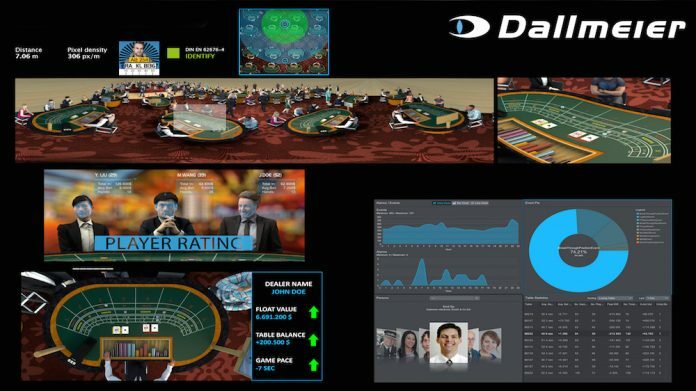 One of the company’s major breakthroughs took place in the casino industry: In 1997, Dallmeier developed the world´s first completely IP-based casino video surveillance and gaming table solution for the Crown Casino in Australia. Today, the majority of the world’s largest casinos run Dallmeier recording, camera and software solutions. The European Dealer Championship (EDC) is the long-running competition organised by the European Casino Association that takes place yearly at an ECA member casino. National champions compete against each other in a competition that involves technical skill, control of the game and hospitality. Also taking place are competitions to find the best chipper, best card handler, best cutting chips, best pushing stacks and best mathematician. The 2019 edition will bring together 36 of the best dealers in Europe to crown Europe’s best dealer alongside leading representatives of the land-based casino industry in Europe.